Buyer representation has become a widely accepted practice nearly as widespread as seller representation in the United States. In spite of this, much of the approach to the real estate transaction is still centered around the seller: their needs, wants, expectations. 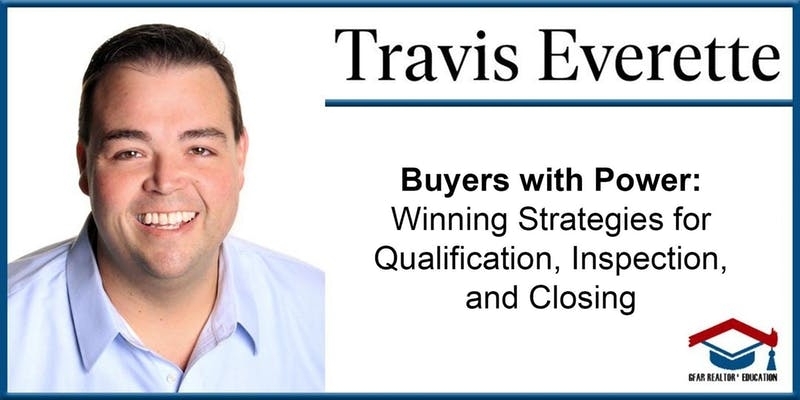 Travis uses this dynamic session to shine a new light on the issues very specific to buyers. What makes them tick? What makes them more attractive to sellers in multiple offers? What must a licensee know in order to protect their interests. Find out all of these answers and more in Buyers With Power!